In an ideal situation, the elderly live in their natural environment, such as their own home or that of their relatives and is free to decide on the various aspects of their daily life in a safe environment. The decline or loss of the independence level, autonomy, social support, adverse economic conditions, loss of the dominant role within the family and loneliness are some of the causal factors that may modify this ideal situation. If action on these causal factors is insufficient or not possible, admission to a nursing home may occur as a temporary or permanent solution. After the establishment of the exchange situation, the elderly start a path of acceptance of the circumstances of living as a user of a nursing home, which becomes their home. 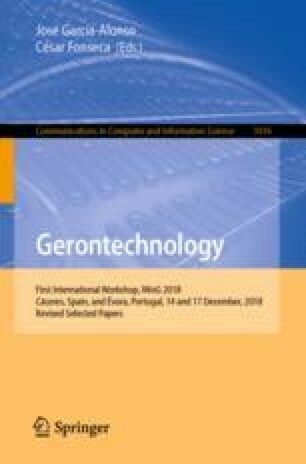 This article intends to present some of the results obtained during a Grounded Theory research on the Promotion and Preservation of Dignity in the context of care in nursing homes, carried out in the context of the PhD in Nursing of the University of Lisbon. From the initial analysis of the data, it was noticed that residentes will try to maintain a daily life close to the one before admission, molding it to existing rules and standards, establishing a relation of use with time and space, in which relationship emerge the appropriation of social experiences and build daily life. Territoriality will allow the elderly to reinvent themselves and preserve themselves simultaneously.